Lenses Freshlook colors, dare everyone to look at your eyes. The famous brand of Freshlook color lenses is manufactured by Ciba Vision. It consists of several types of contact lenses per month , different manufacturing, whose mission is to change the color of users who want to change their image, changing their look. These cheap lenses, as we have indicated, are monthly (one month is used and replaced by others). In two varieties, Colors and Colorblends are adjustable with spherical powers that include parameters of up to -8.00 diopters of myopia and +6.00 diopters of hyperopia. 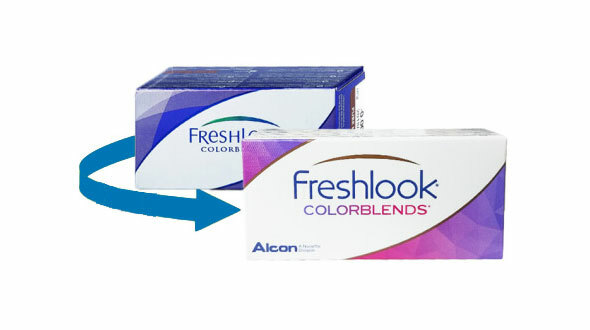 Freshlook Colorblends: with manufacturing technology patented by Ciba Vision, they base their design on the combination of 3 colors in 1 with a demarcation ring, producing a natural effect in your look and highlighting it at the same time. If you want to change your eyes you can choose between nine attractive colors: blue, amethyst, turquoise, green, sapphire blue, pure abellana, gray, coffee and honey. They are adjustable and include UV filter, increasing the protection of your eyes from solar radiation, although this does not rule out the use of sunglasses, which will increase protection to 100%. Its price in Prodevisión is very affordable, for daily, habitual or occasional use. 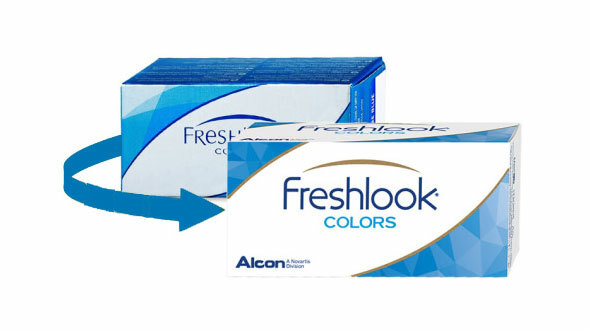 Freshlook Colors: these monocolored lenses are able to change the colors of darker eyes, increasing the intensity of your look.Available without graduation and graduated for myopia and hyperopia. Its mono-color technology is based on a dot matrix iris pattern with wet molding. Available in 6 colors: Blue, light blue, green, gray, violet and hazelnut. The format in colors includes two equal monthly lenses per box. These cheap contact lenses are transparent, then they do not change the color in dark eyes. Dimensions is only sold without graduation, there is no availability of these prescription lenses. 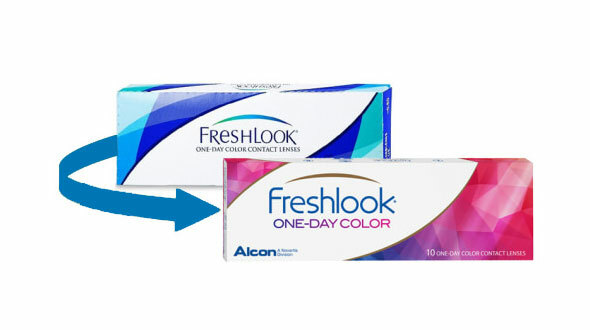 Freshlook One Day: Contact lenses for special occasions. Manufactured using a technology that combines a dot matrix with 3 colors in a single lens, generating a soft, full and natural color. Available in colors, Pure Hazel, Blue, Green and Gray, it is available in a format of 10 lenses per day (5 pairs), neutral or graduated only for myopia up to -6.00 diopters. Freshlook Beauty pack: It is a special format, available for Dimensions or Colorblends lenses, composed by the combination of 3 + 3 or 2 + 2 + 2 lenses each month of different colors, so you can choose the one you like the most. They can be neutral (without graduation) or graduated with values ​​of myopia up to -8.00 dp and hyperopia up to +6.00 dp, at a very competent price. 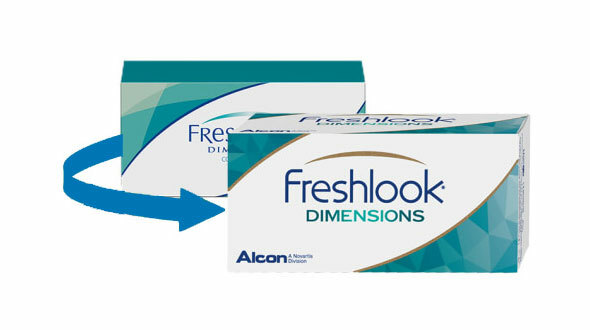 In Prodevisión you can buy Freshlook contact lenses quickly and with secure payment.